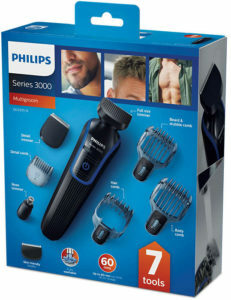 The Philips QG3337/15 Series 3000 7 in 1 Waterproof Men’s Grooming Kit has been designed in such a way to help you create new styles with your beard, mustache and sideburns in the most innovative and effective way. 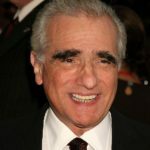 You don’t have to worry about spending long hours to get the perfect cut or spending a huge sum at the parlors to get your stubble trimmed properly. Invest in this kit and get introduced to the concept of effortless and professional styling right in the comfort of your home. Look through our grooming kit review for all the features, merits and demerits of this kit so that you can take a qualified decision if it deserves your money or not. User manual doesn’t contain detail instructions. This is not a very strong con. The trimmer is washable, but not fully waterproof. The Philips QG3337/15 Series 3000 7 in 1 Waterproof Men’s Grooming Kit is one of the most cost-effective trimmers in the market today. What makes it a strong buy is that it comes loaded with great technology, superior design, flexible attachments and inbuilt length adjustments to give the users the freedom to choose the exact level of cut, trim and style that they want. Quality and durability, two of Philips’ signature features, are the hallmarks of this model as well. Therefore, add this to your kitty and see the magic that it weaves on your stubble, beards and hair. Has 4.5 out of 5 stars currently with over 90% four stars or more.